Whether you are making these to bring in for school parties or just an at home treat, they are extremely stable and hold up well. 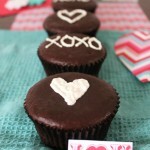 They are not very sweet, so an icing/chocolate/decor is exactly what it needs. 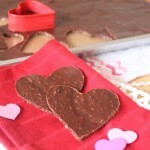 Scoop entire batter onto large sheet of parchment paper or even plastic wrap. Top with another sheet of parchment or plastic wrap. Use rolling pin and roll out dough to about 1/4 inch thick. Gently slide onto a cutting board or sheet tray and place in freezer for about 10-15 minutes until dough is firm. 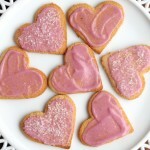 Once chilled, remove top layer of parchment and quickly use cookie cutters to make shapes. You can remove excess dough and bake right on parchment on a sheet tray or place shapes carefully onto silpat lined sheet trays. Bake at 325 for about 6-10 minutes, depending on thickness of cookies. Do not go far, they bake quickly. Check on them after 5 minutes. After removing from the oven, allow cookies to rest on the cookie sheet for a few minutes, before attempting to move to cooling rack. *they will seem fragile at first, but harden upon cooling. Decorate cooled cookies with your favorite frosting, or dip in melted chocolate for a simple but decadent treat. * yields 18-24 cookies, depending on size and thickness of your cookies. 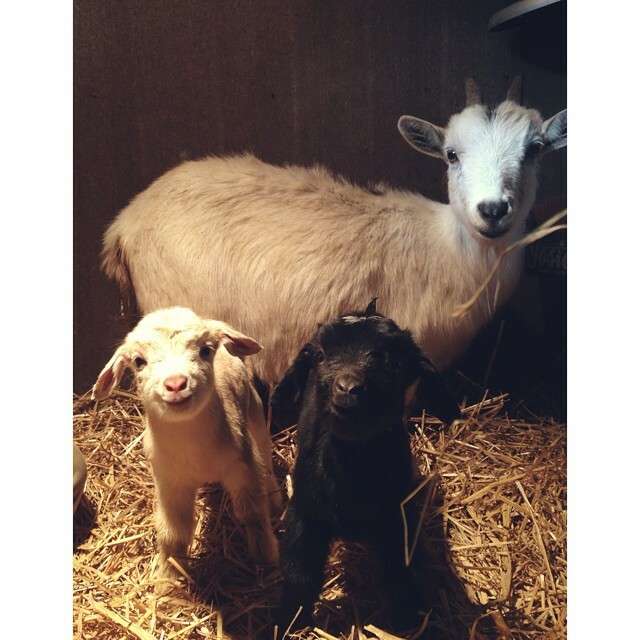 Yesssss… baby goats! Not just the two pictured, but 5 more and we still have 2 more pregnant mamas…. it’s absolutely insane and I’m loving it. We have become a full on farm, with 13 goats, 40 chickens, 1 pig, and 1 dog. I’ll have to do another blog post and share more about our #farmlife. 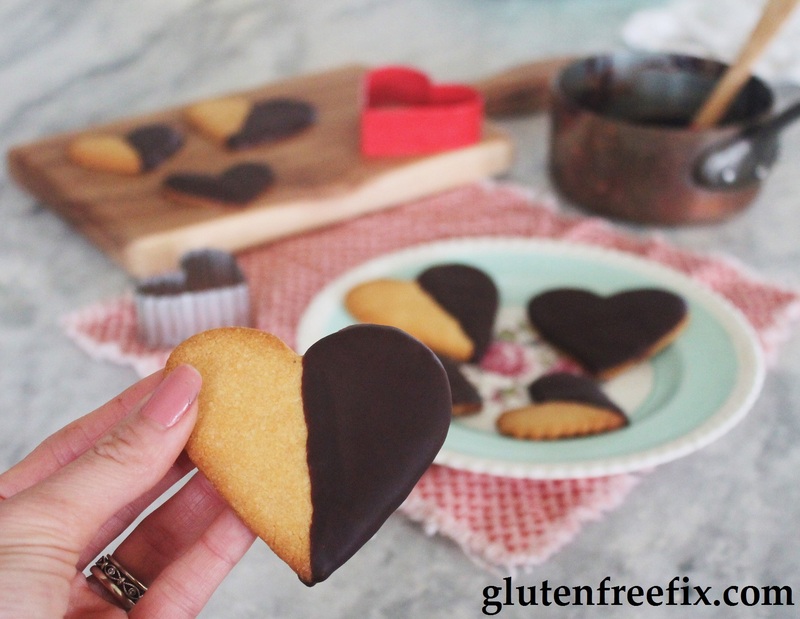 You can keep up with me and my daily adventures on my Instagram account @glutenfreefix. I hope you all have a lovely Valentine’s Day! My mom and I have many things in common: we love to sing, bake and thoroughly enjoy eating almost burnt cookies, we love to make art of any kind, and no matter the time of day, we eat sweets. Most importantly anything with caramel, nuts or chocolate. This especially rings true in the holiday season. Holidays evoke childhood memories of running around the Christmas tree, playing with ornaments with my sisters and hearing the angelic voice of Amy Grant in the background. It was that time of year, when my mother spent hours in the kitchen baking cookies and other delightful treats. There was always a certain dessert, a mini pie/tart- like creation that was so beautiful, I honestly didn’t know how my mom made them so perfect every time! 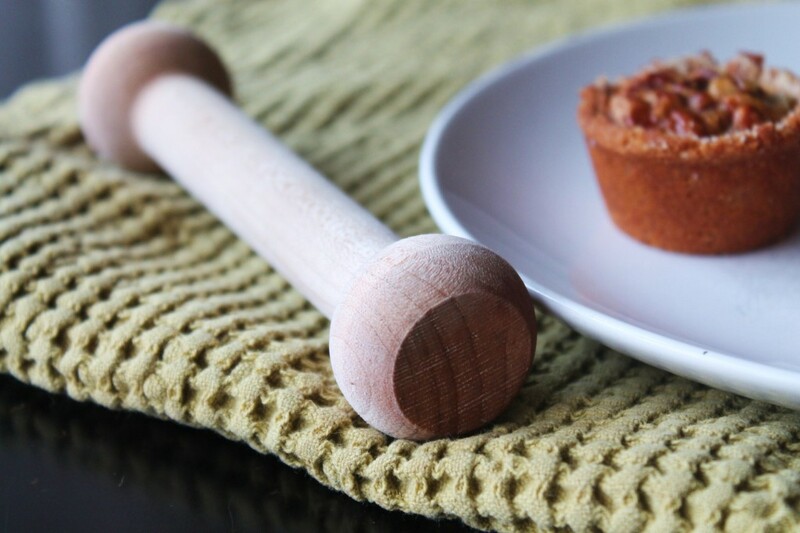 It wasn’t until many years later that she shared her secret to her Perfect Pecan Tassies, the mini-tart shaper… and with this knowledge, this handy, wooden little tool, has now become a staple in my baking drawer. I will most definitely be passing down this tool to my girls! So what are these delectable treats I speak of? 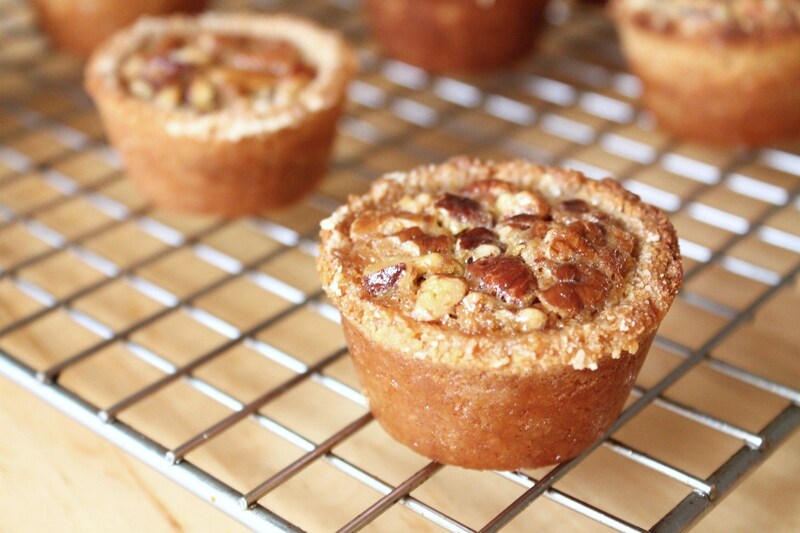 Pecan Tassies, the perfect combination of nuts, caramel, crunch and chew. After being diagnosed with Crohn’s disease several years ago, I changed my diet drastically to naturally keep my disease under control. That meant no gluten for me! It has been challenging, but fun at the same time trying to re-create childhood favorites. This particular recipe has even impressed my father, one of my toughest critics. After taking a few bites, he shockingly asked ” You can eat this?! ?” That was the ultimate compliment. 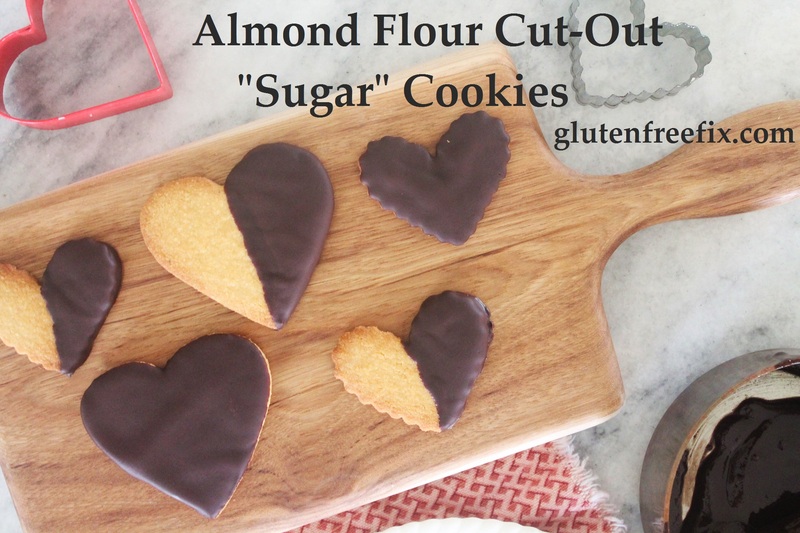 I have kept this gluten free recipe fairly simple to make, with ingredients you can now find easily at your local grocery store. 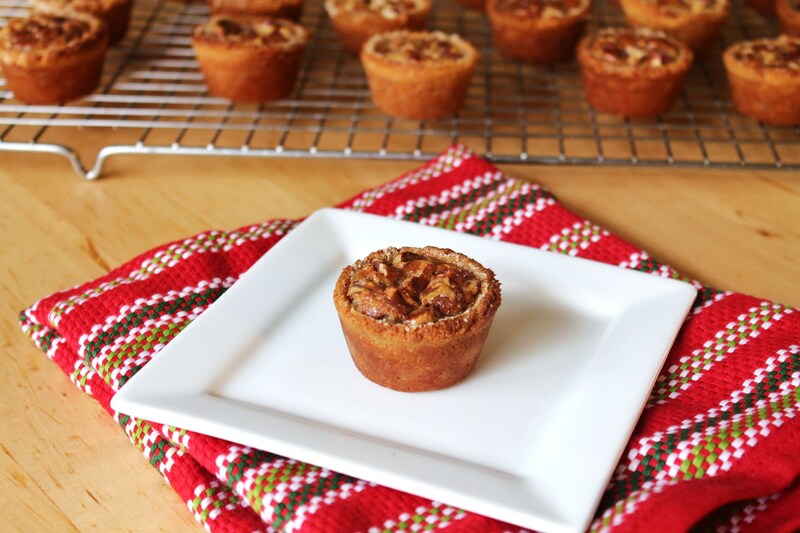 These are beautiful little morsels that will spruce up any holiday gathering or cookie spread. Prepare filling: whisk together ingredients until fully combined and smooth. Pour into mini muffin tins carefully. Bake at 325 for 18-22 minutes or until golden brown. Allow them to cool down about 5 minutes and gently remove them from pan onto a cooling rack. 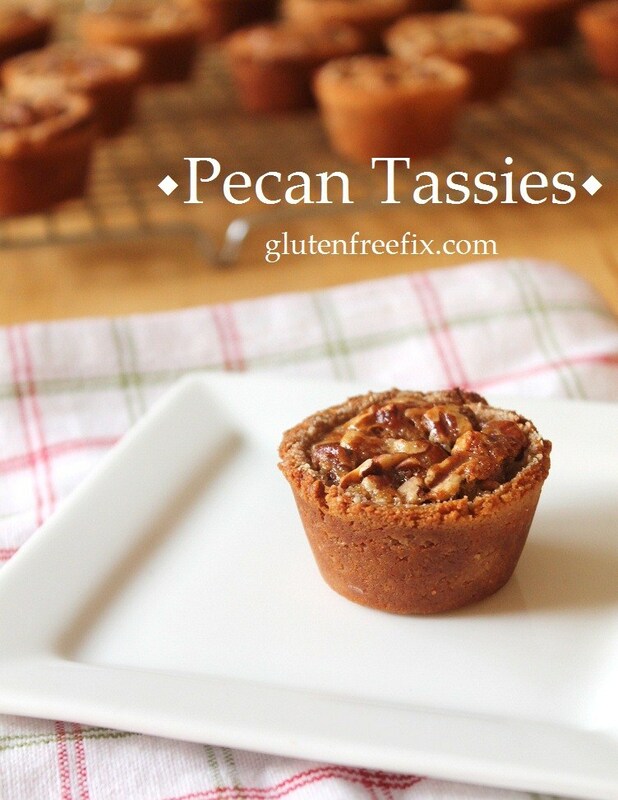 *Yields 24 pecan tassies. Keeps in an airtight container for 3 days at room temperature or 1 week in the fridge. They also freeze well, up to 1 month. And the winner of the giveaway was selected, Congratulations Stacy! Also the lovely ladies over at RogueTheoryLOOP so graciously put up a coupon code on their site just for you guys! Save 10% on anything in their shop until December 17th. I hope everyone is having a wonderful week! I’m also excited for another giveaway! Hint hint, it’s jewelry. YES. So be on the lookout. ‘Tis the season for giving… I’ve decided to have a series of giveaways including”My Favorite Things”. And no, that does not include my adorable daughter. 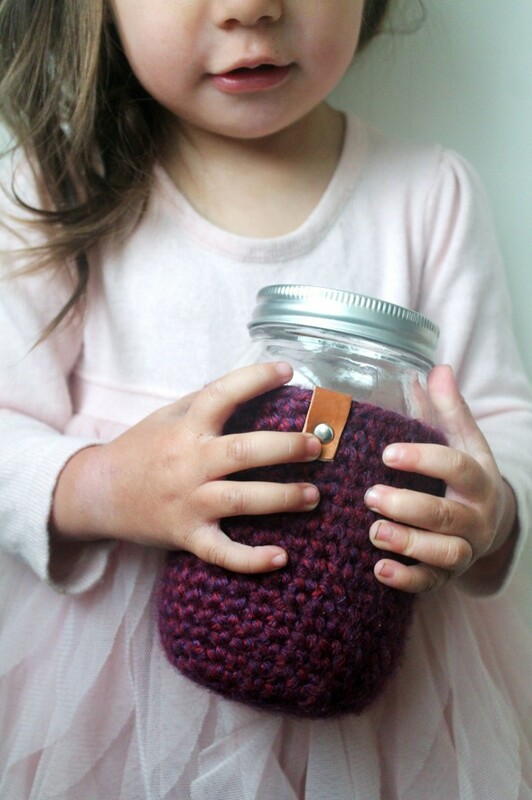 To kick it off, I’m presenting to you these charming mason jar koozies. You see, I have a serious problem drinking out of your typical travel mugs or even plastic cup for that matter. The smell kills me every time. I only drink out of glass. I save every single jar, from pickles to coconut oil. Some might say my collection is getting out of hand, but to me, the more the merrier! Anywho, off topic…. back to the giveaway. 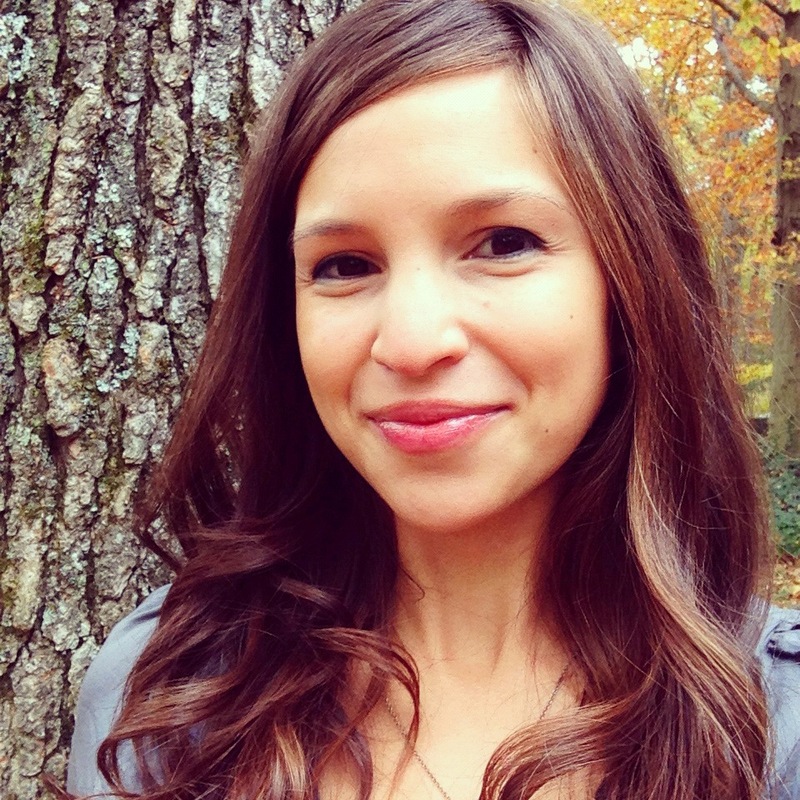 The creative duo, Kim and Christina over at RogueTheoryLOOP have the cutest shop on Etsy. 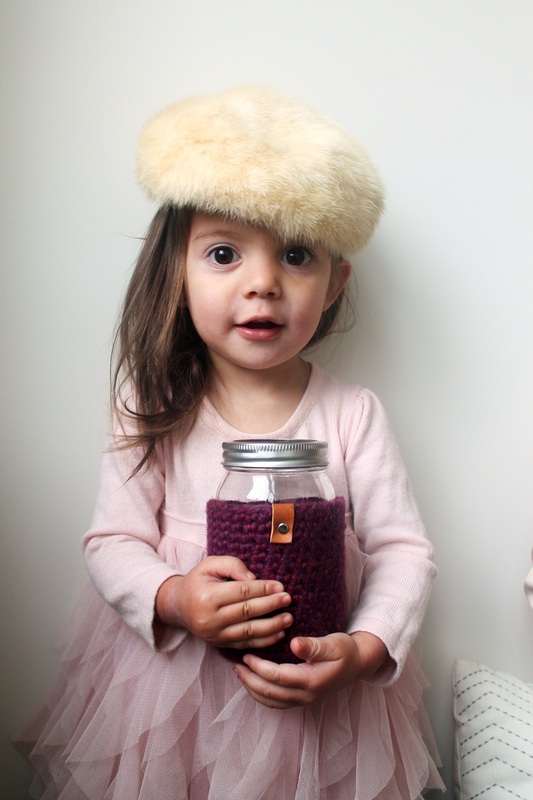 Last year, I purchased several of their handmade mason jar covers for friends and decided to keep one for myself. And boy am I glad I did! I use it on a regular basis. Their color selection and craftsmanship is beautiful. 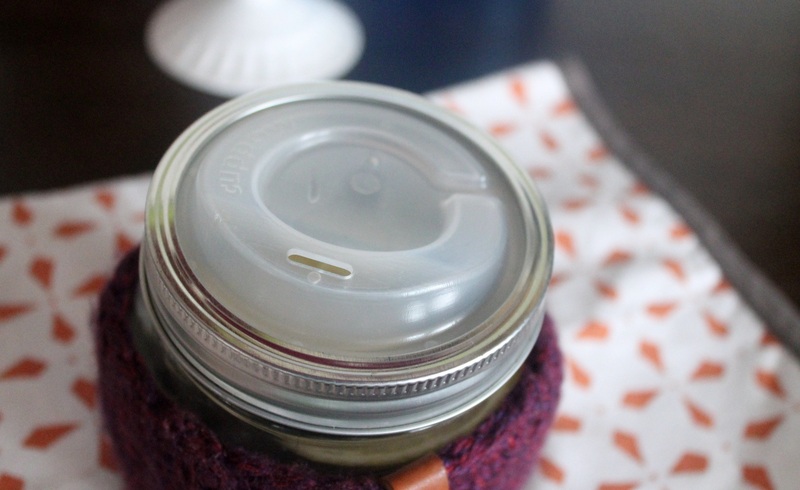 Now to make the giveaway complete, I will also include a Cuppow Mason jar drinking lid. It’s basically a grown-up sippy cup. But more awesome. Perfect for the car, making this a complete travel mug. They use BPA and phthalate free food-grade recycled plastic, which makes it super eco-friendly. Yay! Now to enter, head over to the RogueTheoryLOOP Etsy shop, and check out their colors. Come back here, and comment below with the color you would choose if you won and what your favorite hot drink is! That’s it!! 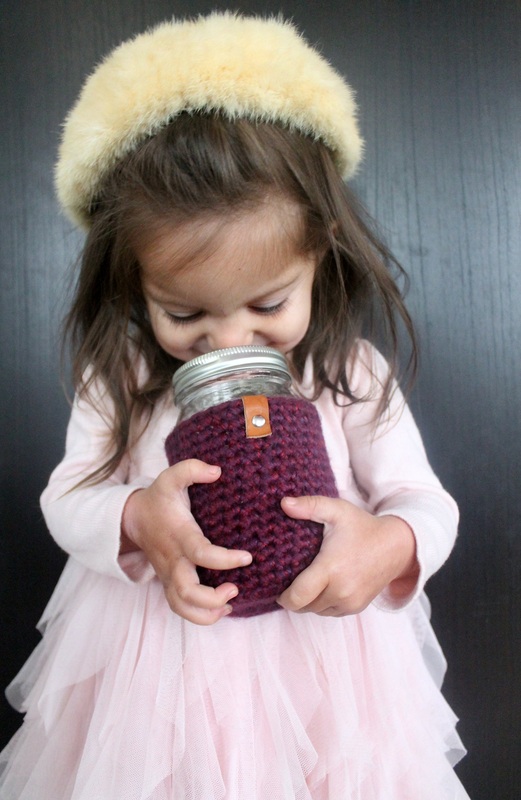 *Winner will receive 1 pint size mason jar, 1 cover (color of choice), and 1 Cuppow mason jar drinking lid. Sometimes for Thanksgiving you might want a more rustic dessert (aka, not adding on the stress of making pie dough). 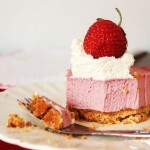 So I’ve decided to add this recipe for those who prefer a simple, and equally delicious dessert. Make a batch of No Churn Vanilla Icecream days before and you are good to go! 6 cups peeled, cored and sliced apples (about 3-5, depending on how large they are) I prefer to use a mix gala/granny smith/honeycrisp. Make caramel first: in a saucepan, cook butter and honey until golden brown on high (about 2-3 minutes). Quickly remove from heat to stop cooking and add in coconut milk or cream. Whisk. Stir in vanilla. Set aside to cool. 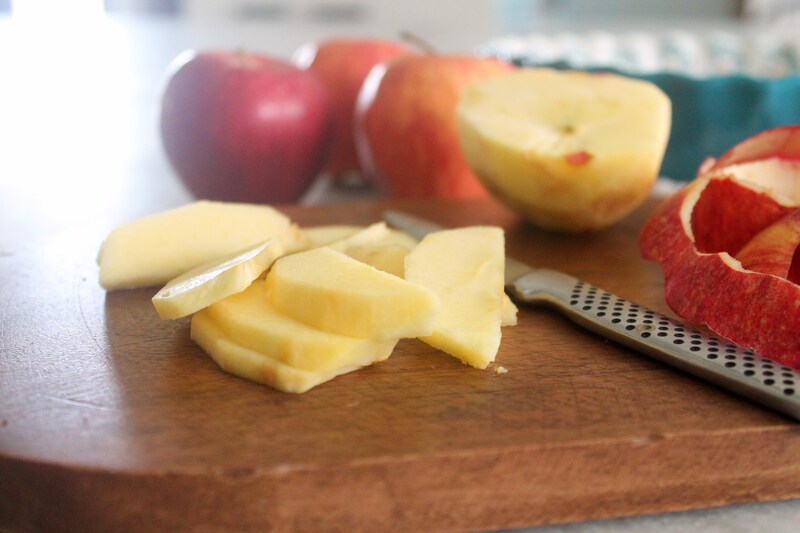 Prepare apples: peel, core and slice. 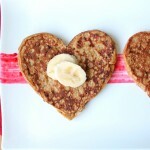 Toss in coconut flour and cinnamon. Layer into pie plate or similar sized baking dish. 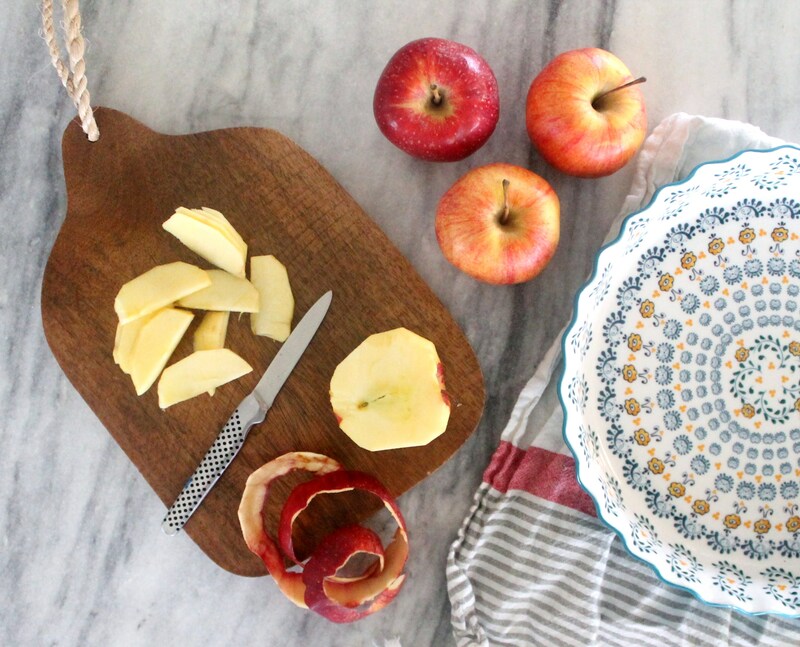 Pour caramel over top of apples. Prepare topping. 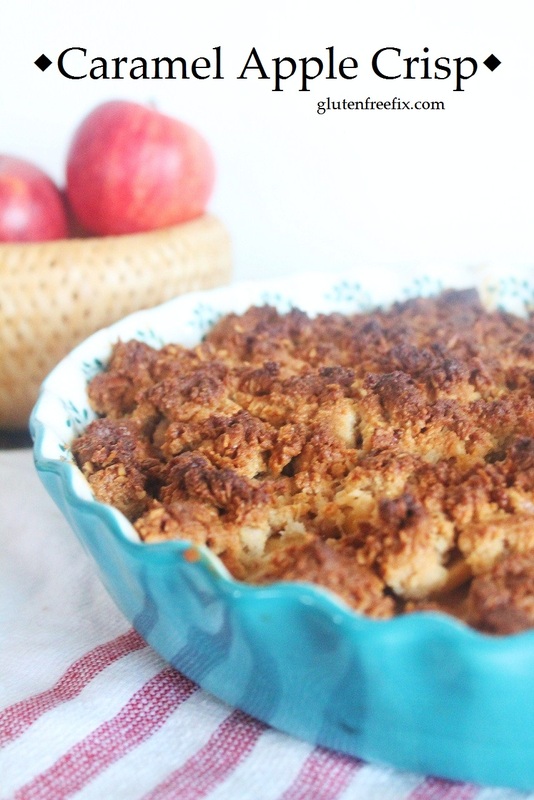 Using fingers, crumble mixture evenly over the top of the apples. Bake for 45-55 minutes, until golden brown and cooked through. Cool slightly before serving. 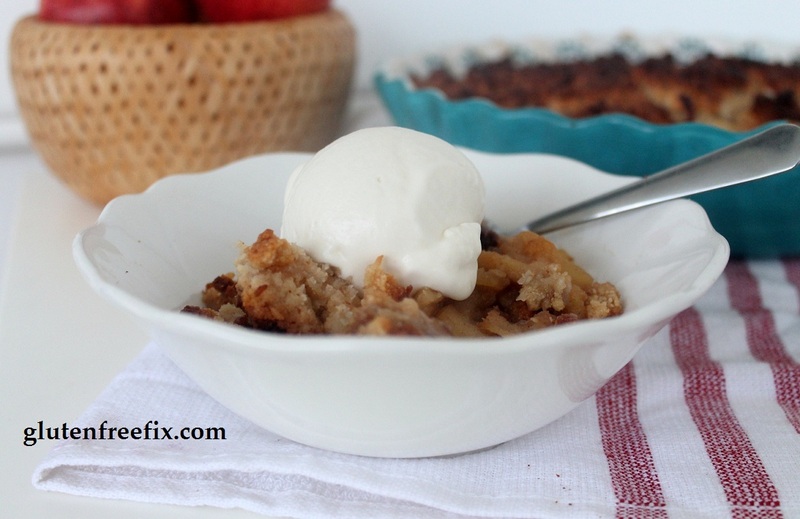 Top with No-Churn Vanilla Icecream or Coconut Whipped Cream (for a dairy free option). Definitely not into making pies? 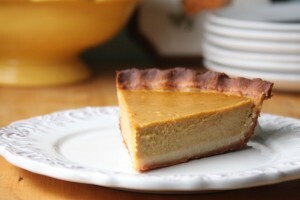 Then try my Gooey Pumpkin Pie Cake. 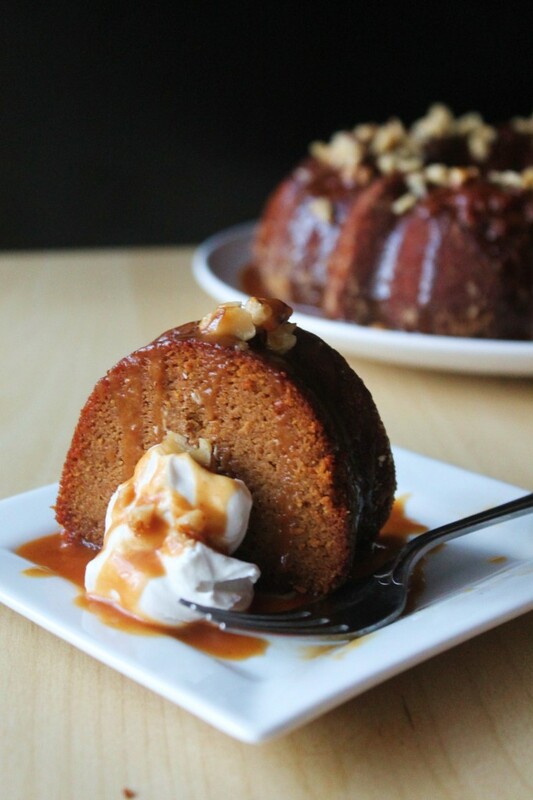 Everything you love about pumpkin pie, just in cake form. And for last minutes tips and a recipe roundup of my Thanksgiving favorites, check out my post on Preparing for Thanksgiving. I hope everyone enjoys there holiday and time with family and friends! So I have officially begun prepping parts of our Thanksgiving meal, anything I can make in advance I do! This allows you to stay on task and still be able to enjoy your holiday with family and friends. Here is a good list to get you started, click on any of the photos or the recipe names and that will take your directly to the recipe. 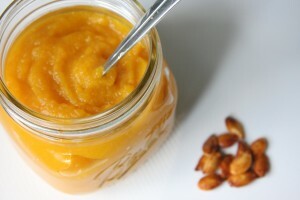 Homemade Pumpkin Puree – This is not a must(unless SCD), but an added bonus if you have the time to do it. Make now and freeze in the portions needed for your recipes. Makes your pies and soups extra special. 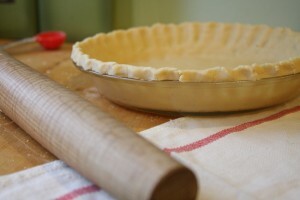 Double Pie Crust Recipe- I made this batch of pie dough, separated it into two discs, flattened and wrapped in saran wrap, and placed in the freezer. Now, I can pull the dough out the day before Thanksgiving, let it defrost, roll out, fill and bake. 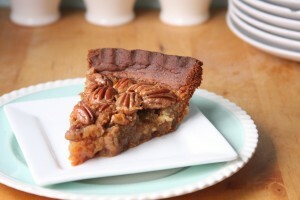 One Classic Pumpkin Pie and One Maple Pecan Pie (or Honey Pecan Pie). Dessert, done. Turkey Broth – Purchase one turkey breast (on bone about 1 1/2-2lbs), placed in a pot with 1 onion, 3 carrots, 3 celery stalks, all roughly chopped and fill the pot to the top with water. Bring to a boil, turn down and simmer for 4-6 hours until dark and reduced. In the end you will have about 1 quart of rich and flavorful turkey broth. Strain, cool down, and freeze. Use the turkey meat for a dinner or sandwiches this week. 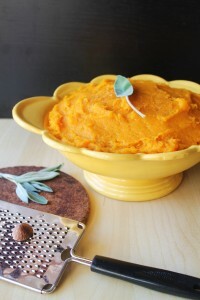 Perfect, now you will be ready to whip up your gravy in no time on Turkey day! 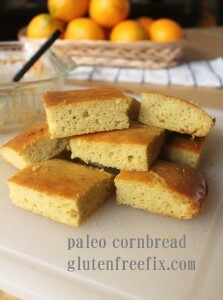 Gluten Free Cornbread – Make a batch of cornbread, cool down, cut into cubes and dry out in oven at 275 for 25-30 minutes until golden and crispy. Throw in a ziplock and freeze. 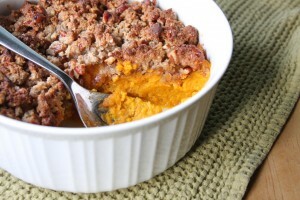 Now you are ready to assemble your Bacon-Cornbread Stuffing! 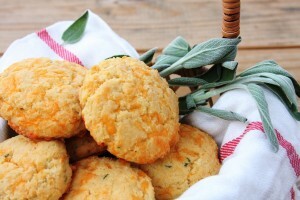 Cheddar Sage Biscuits – make the dough now, scoop into biscuit size with a cupcake scoop, place on lined tray and freeze. 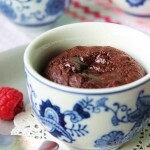 Once set, remove from tray and place in container and keep frozen until day of. Set frozen rolls on sheet tray and allow to thaw for 30 minutes. Bake at 350 for 18-20 minutes. 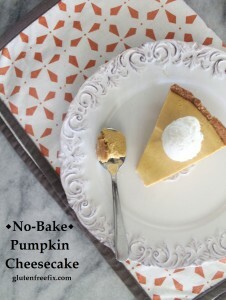 No Bake Pumpkin Cheesecake- follow instructions and fully prepare, wrap and freeze. Thaw for 1 hour before serving. Keeps in the freezer for up to 1 month! 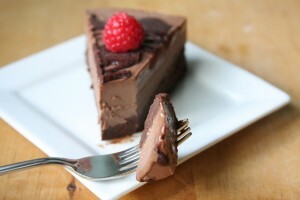 Chocolate Brownie Icecream Cake – Okay, not a traditional Thanksgiving dessert, but there are many chocolate lovers among us. So this one is nice for a change… Keeps in the freezer up to one month. If you don’t end up using for Thanksgiving, pull it out for a last minute holiday party in December! 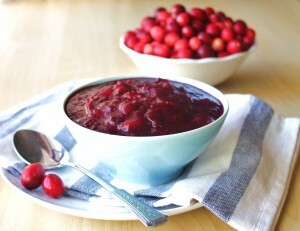 5 days before: Quick Cranberry Sauce- can be made up to 5 days in advance, kept in the refrigerator in an air tight container. 2-3 days before: Butternut Squash with Browned Butter and Sage. 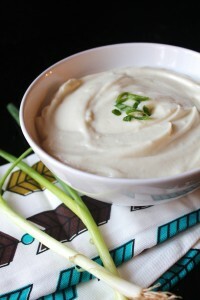 And Cheesy Cauliflower Puree. 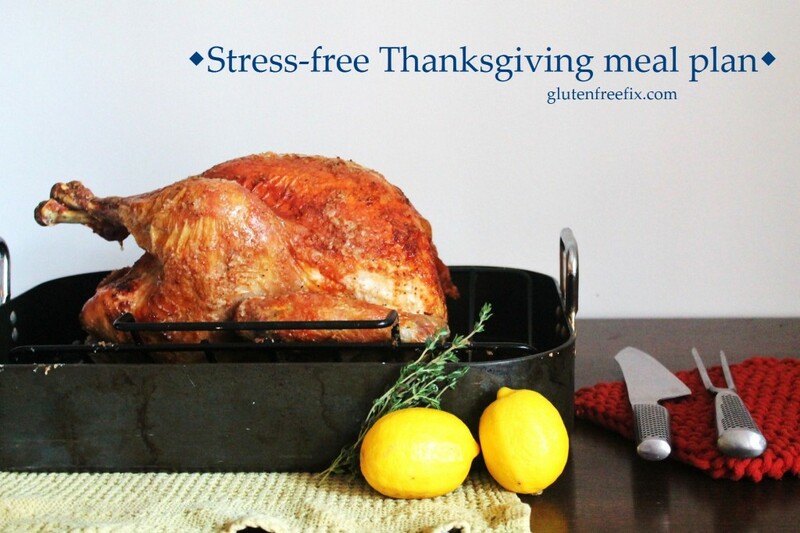 Store in casserole dish, and reheat in oven while the turkey is resting. 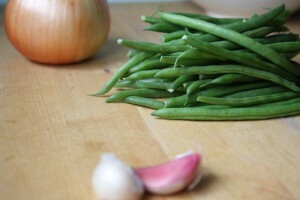 1 day before: Green Bean Casserole, Praline Butternut Squash Casserole. Assemble the casseroles, cover, and refrigerate overnight. Bake the day of.